So that monthly favourite time is here again! I have used this eye-liner before, but then stopped to use a drug store brand (I don't know why I stopped!) so I re-found my love for it again and I am not sorry at all. 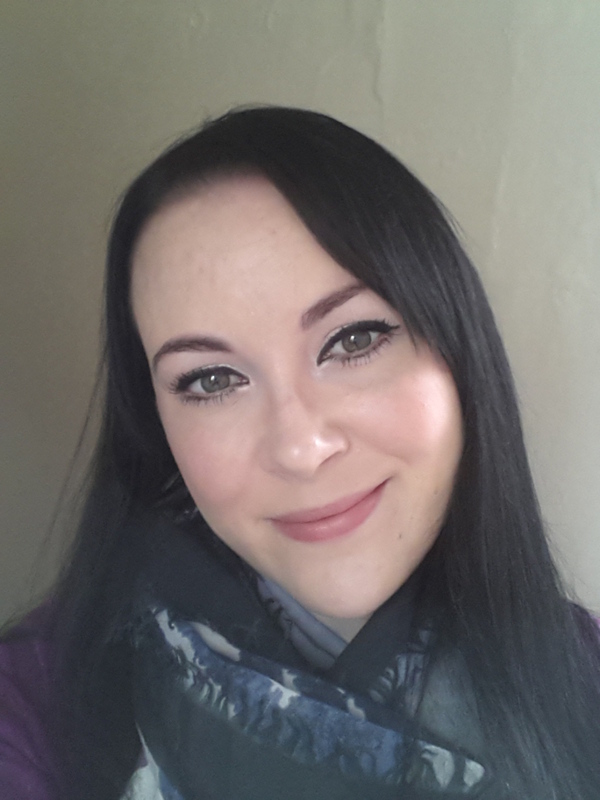 The pigmentation of the gel liner is amazing as you'd expect from Bobbi Brown! I have the purple, blue and black of these liners as I purchased a set with them in some months ago from QVC. If you are looking for a gel liner then this is definitely worth purchasing. 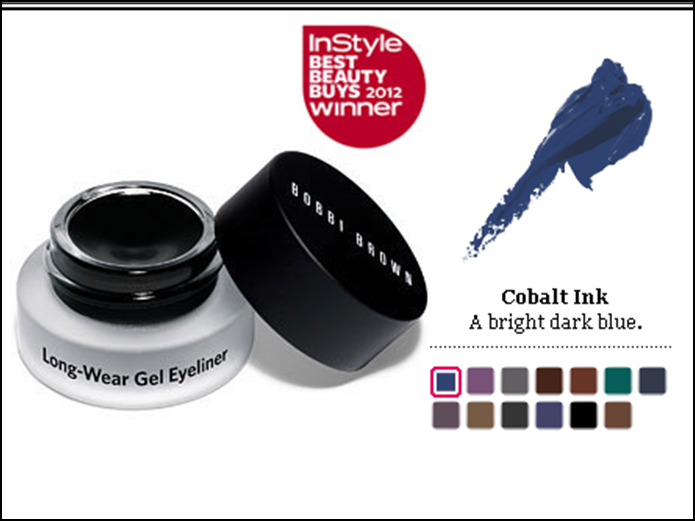 You can buy it directly from Bobbi Brown for £17.00 it has also won the InStyle best beauty buys for 2012!! This award-winning liner gives you the look of liquid liner with the ease and feel of a gel formula. Long-wearing, water-resistant colour glides on and let's you get it just right before it dries - then stays without a smear or crease. 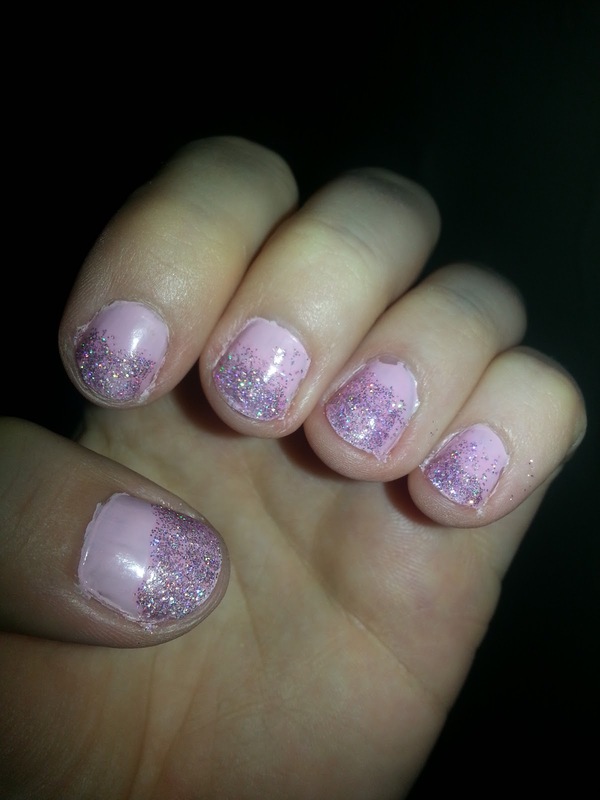 Models Own Wonderland polish in "Northern Lights"
This polish costs £5.00 and is stocked in Boots. It looks great on its own or as I have done above by ombrying (cannot spell this word!) it to the nails using a sponge. The glitter is easy to remove and is the first ever polish that I have tried from Models Own and it won't be the last!! 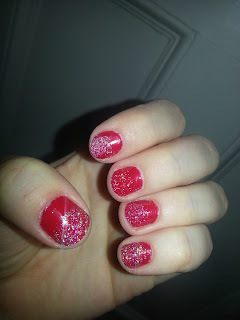 If your looking for a polish that screams Christmas then I would definitely check this one out! 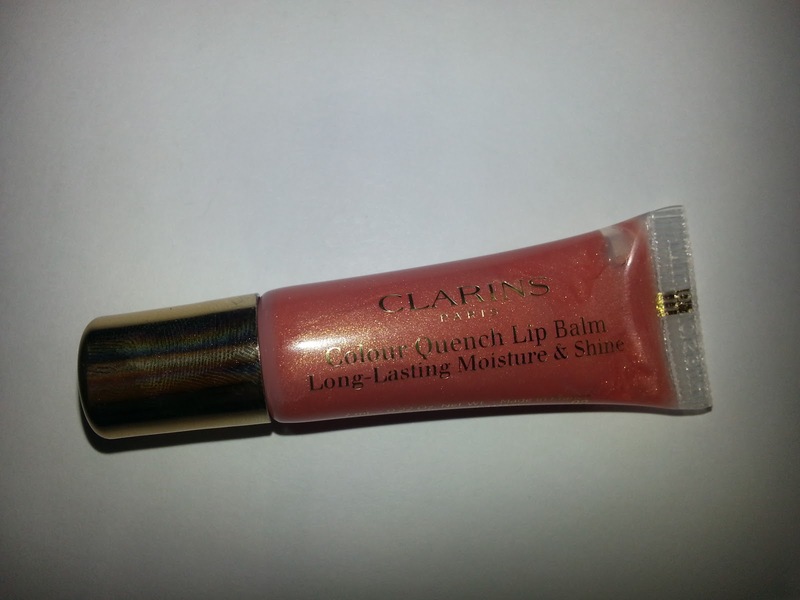 I was lucky enough to be given a sample of the Clarins colour quenching lip balm long lasting moisture and shine in shade 02 peach nectar. 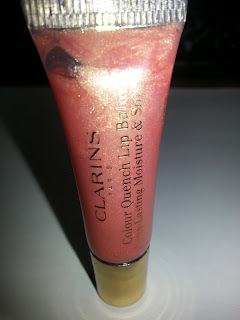 This colour is just beautiful it's long lasting, and definitely looks Rose Gold-esque in the tube. This luscious balm offers subtle colour and shine, while the moisturising skin care benefits treat your lips. Deeply soothing for lasting comfort and a hint of colour. Great to wear alone or over any lip colour. Max Factor False Lash Effect in limited edition gold is an amazing!! False Lash Effect Mascara doubles your lash size with the impact of false lashes without the fuss. The secret is in the lash boosting combination of Max Factor's biggest brush ever combined with patented Liquid LashTM technology. Now with every volume coat the big brush sweeps right to the tips giving your lashes fullness and head turning attitude. The result is 100% impact. 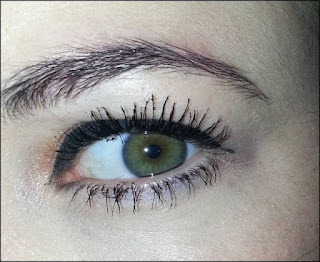 I ADORE this mascara, my friend works for P&G and was kind enough to give it to me to try. 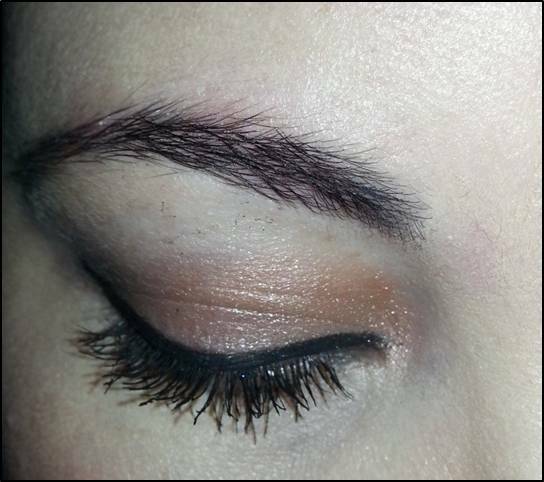 It is simply amazing, it never flakes, never dries up and coats all of my lashes so that they look amazingly long! You can see from the photo above and below that this mascara even amplifies my lower lashes just as much. If your fed up of wearing false lashes, then I'd definitely check out Max Factor. It looks as if I have false lashes on! I hope you enjoyed my monthly favourites!